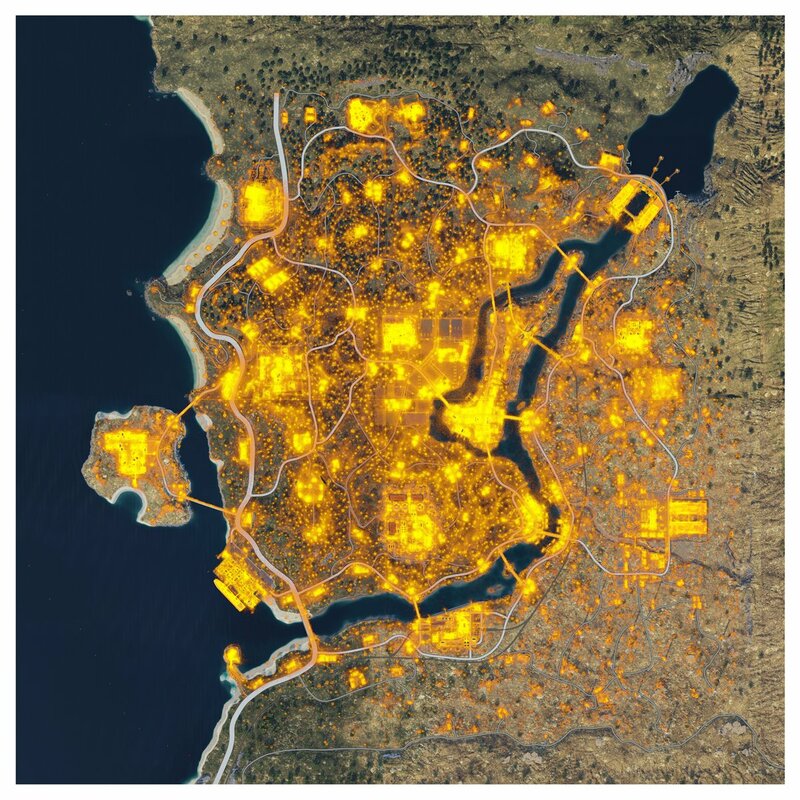 Treyarch have released a heat map showing the busiest locations in Call of Duty Blackout. Depending on what type of player you are, this can help you decide the best place to land in Blackout. If you’re going for a high kill game, or just love the adrenaline rush of diving in surrounded by other players, you’re going to want to land at some of the mark busiest locations. However, if you like to play passive and try and survive until the end game, you will want to avoid the hot spots. This heat map was provided by Treyarch. Treyarch has confirmed this is a heat map of PC, Xbox One, and PS4 players. As many players could have guessed – going anywhere that is a named location is a lot more busy that non-named locations. Some of the more popular areas appear to be Firing Range, Construction Site, Estates, and River Town. Just remember, every drop is going to be different depending on where the plane is coming from. Majority of players don’t have the patience to sit in the airplane while it travels across the map to their favorite named location. Majority of players will jump early. If you’re going for a high kill game make sure to jump somewhat early, and land at one of those major locations. If you’re looking to survive until the end and play passively, jump late and land at a small stack of houses. Appears majority of action is spread close to even across the map. Named locations see majority of action, this is to be expected. Some people like to stick to the “out of bounds” borders, presumably sniping.